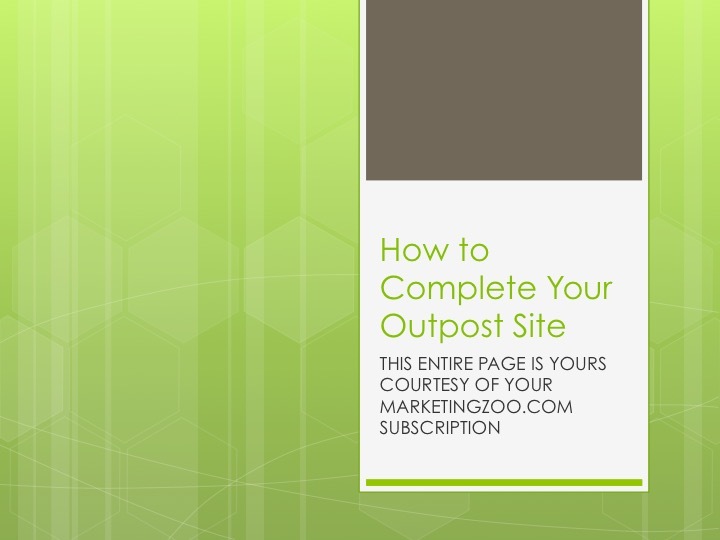 Create Your Outpost Site in Just 15 Minutes! When your page is published we announce your new page to your fellow MarketingZoo Members. Today, over half of all searches are performed on mobile devices. Your Outpost page is designed to produce a quick response for you. On a mobile phone your name, phone number and call to action pop right up at the top. 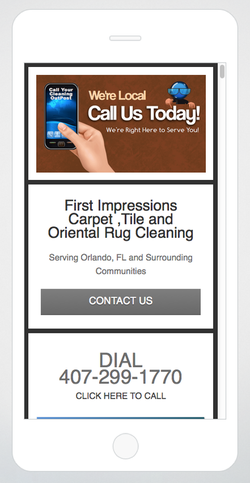 Everything is mobile friendly. 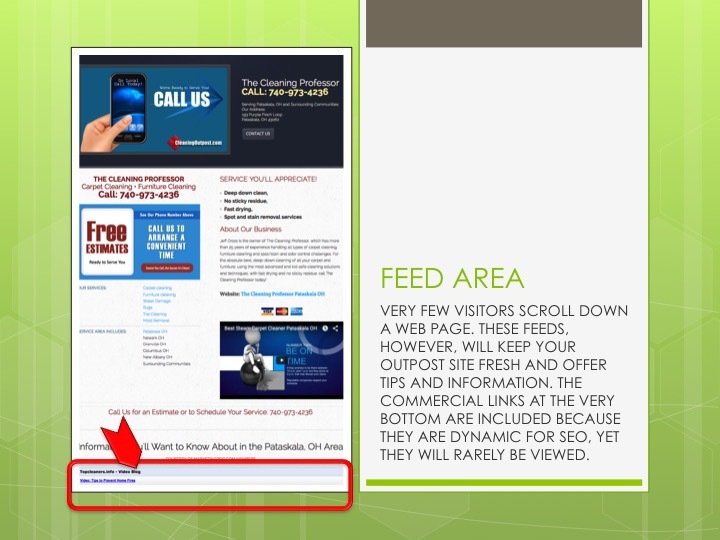 Searchers can scroll down the page to see all the content you are presenting. On a full-sized screen the eye typically goes first to the upper left hand corner of the page, which is why we position your offer there. The most important information is above the fold. CLICK TO VIEW ENLARGED MOBILE VERSION. YES!, please include Joanna! No, thank you. No specials? Offer a free estimate. Just tell them to call for specials. SUPPLY YOUR OWN COUPON ARTWORK: If you wish to supply your own coupon artwork, please send the image as a PNG, JPEG or PDF to garyarndts@gmail.com. We do not modify coupons so please sent your coupon in finished format. BE SURE TO INCLUDE YOUR BUSINESS NAME IN YOUR EMAIL! How to write a great benefit. Start by listing a feature, then follow it up with a reason it's a benefit to your customer. Answer the question: "So that?" Example: Fast Drying: so that you can start using your room sooner. Example: State-of-the-Art Moisture Detection: so that you won't get mold or mildew down the road. Section 7: About Your Business: They Should Hire You. Tell Them Why. Section 8: Link to Your Website. Or to Your Social Page. Section 10: BONUS OPTION: Add a YOUTUBE VIDEO! OPTIONAL: Why add one? It keeps visitors on your page longer and it will add a dynamic link back to your video which can help get it ranked on search engines.